The gist of it (for all you non-Spanish speaking blog readers) is that ten Costa Rican fishing boats were caught illegally fishing in protected Columbian waters around the island of Malpelo. 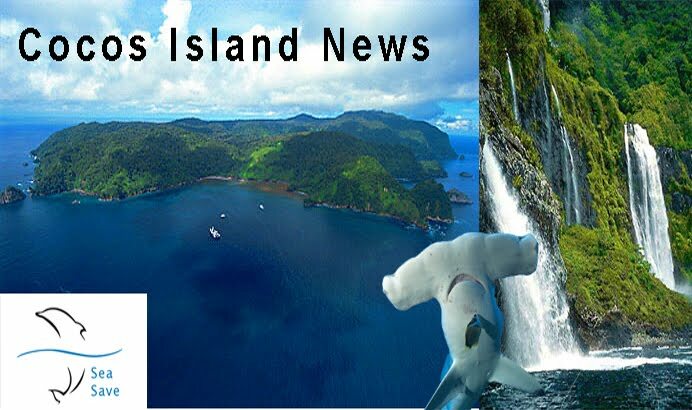 Dead, finless sharks were found by divers around the island, and it's believed that the Costa Rican fishing boats were among those "shark-finning". This news got the Wafer Station crew pretty fired up - we've had two hour long morning meetings discussing the matter. 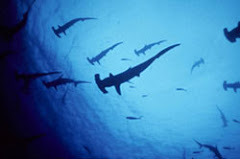 What I gather from the conversations, carried out in rapid-fire tico (Costa Rican Spanish), is that the funcionarios believe that the boats caught around Malpelo Island (A factoid worth mentioning: Malpelo Island is also a World Heritage sight) are the same boats that come to Cocos Island. They're waiting for word back from El Continente - mainland Costa Rica. Many of the rangers are looking to Columbia to make an example of these fishermen. There's an deep-seated frustration with the current Costa Rican laws and the current system, because no matter how many times Patrol catches a boat fishing illegally within the park boundaries, the fishermen are never brought to justice. The funcionarios are hoping that with different laws, in a different country, the fishermen will get what's been coming for them for a long time. Hi Will - Tuckerman just turned me on to your blog....great info and fun to read! I was not fully aware of the great work that you and the rangers are doing. This is what a gap year is truly all about...expanding your view of the world...and expanding the view of those that are following your journey. I see your family frequently and all seem well....and the era of Olivia has hit Proctor...and I usually see her smile clear across campus.